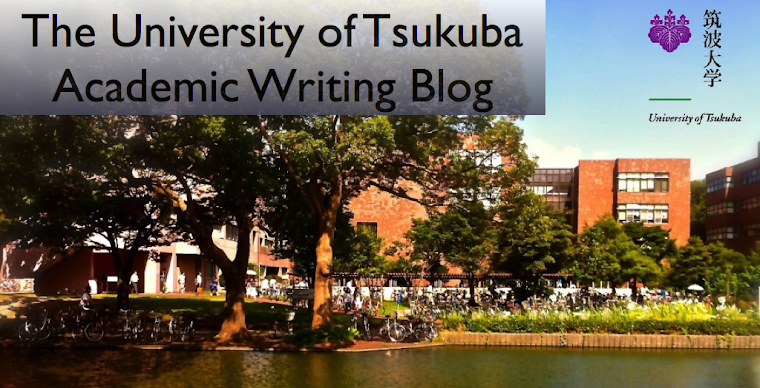 The University of Tsukuba Academic Writing Blog: The most hurtful experience of my life by Chiaki K.
The most hurtful experience of my life by Chiaki K.
The worst experience of my life is when I cut my finger. In the third grade, my older sister in the fifth grade had a knife to use for arts and crafts class. On a Saturday, she showed it to me and then I began to play with it because I had hardly ever looked at a knife and I was interested in it. Its name was “Safe”, so I thought that the knife was safe. After a while, My hand slipped and unfortunately I cut the middle finger of my left hand. The cut was deeper than I had expected, so the blood ran copiously and my beige pants became dirty with blood. When my mother came home, she was angry at me because I played with a knife despite it being so dangerous to do that. In the evening, I was taken to the hospital by my parents. Before we arrived at the hospital, I was crying in the car because I was afraid of the hospital. While The doctor disinfected my cut with Isodine lotion, I cried too because of the pain. The next day, I was absent from school just to be on the safe side. The school lunch of that day was a rare dish, Sankaku Pizza (Triangle Pizza) and I couldn’t eat it, of course. Surprisingly, Sankaku Pizza was never served again in the school lunch until the day I graduated from the junior high school. So I’m very regretful even now. For a while after that day, I had to disinfect with Isodine lotion and I cried every time. As a result of this experience, I came to dislike to use a knife such as cutters or knives for cooking. In addition, I came to be more careful when I use a knife because I learned that knives are dangerous. This is the most hurtful experience of my life. Hi, Chiaki! I am Kana Takahashi. I read your writing and thought it was a very hurtful. It is irony that knife's name is "Safe". I also want to eat Sankaku Pizza. Hi, Kana. Thank you for your comment. Yes, that name is very ironical. It was not 'safe' for me! Hi Chiaki. This is Chiemi. I understand that you thought why the knife was safe. It's too bad that you got hurt and wasn't able to eat the rare dish, but your experience was very interesting to read. Thank you for sharing! Hi, Chiemi. Thank you for your comment. That experience is very hurtful for me, but I'm glad that you enjoyed to read my writing about it.